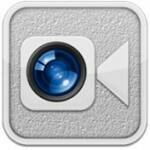 When iOS 6 rolled out to Apple iPhone users, it brought with it a major change for users of FaceTime. For the first time, with FaceTime over Cellular, iOS users would no longer be bound by a Wi-Fi signal when having a video chat. But among the three major U.S. carriers that offer iOS devices, AT&T was alone in placing restrictions on the feature. Originally, the nation's second largest carrier required customers to have a Mobile Share data plan to use FaceTime over Cellular. AT&T said that it wanted to roll out the service slowly to judge what kind of impact it had on its network. In other words, AT&T was concerned that it would turn mild mannered Apple iPhone and Apple iPad users into selfish data hogs that would clog up the pipeline and slow down service for everyone. Meanwhile, neither Verizon nor Sprint had these thoughts. Eventually, AT&T started to ease up a bit, and dropped the restriction that only Mobile Share customers could use the feature. The only thing that AT&T wanted was for customers with a tiered plan to use an LTE enabled device to access FaceTime over Cellular. This allowed the feature to be used on a tiered plan with the third-generation Apple iPad, the Apple iPhone 5, the Apple iPad mini and the fourth iteration of the Apple iPad. But that left out the Apple iPhone 4 and Apple iPhone 4S not to mention the Apple iPad and Apple iPad 2. Perhaps AT&T thought that those who absolutely love FaceTime over Cellular would update to a newer model. Or maybe AT&T was worried about clogging up the ol' 3G network. Whatever the reason was, it is in the past. Starting in a couple of weeks, AT&T will be sending out updates over the next few months so that all Apple iPhone and Apple iPad users on a tiered plan or Mobile Share plan can use FaceTime over Cellular. AT&T has already started updating its systems.